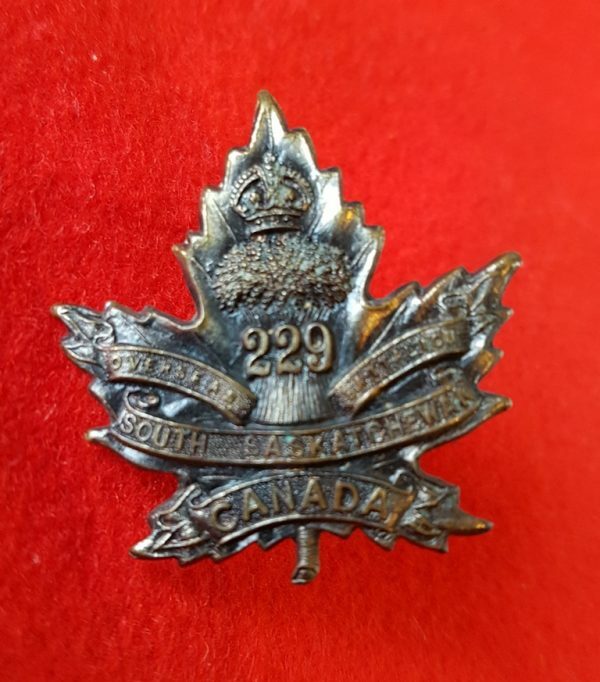 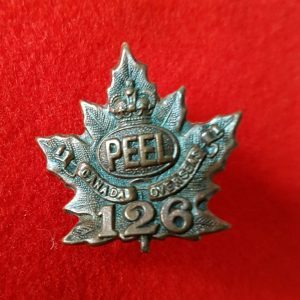 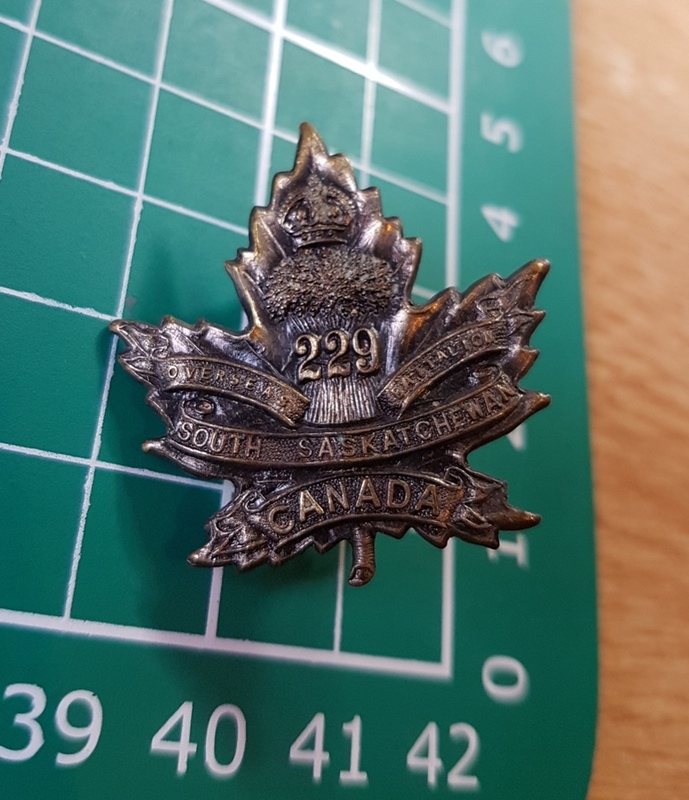 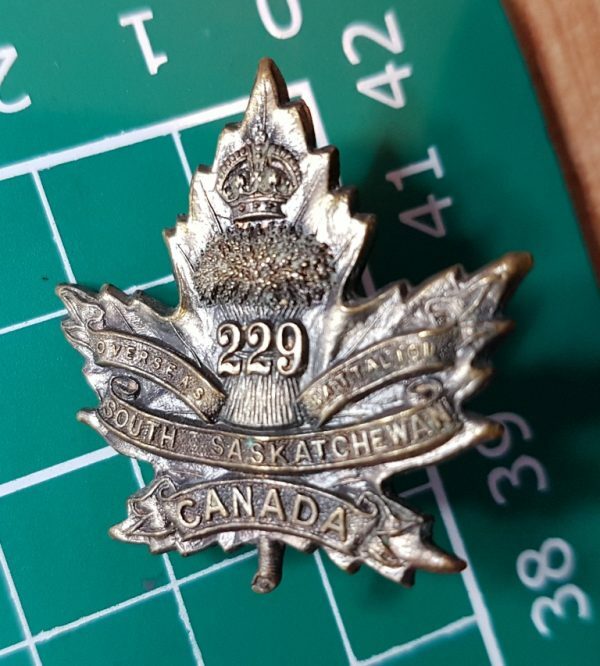 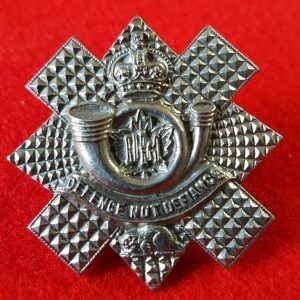 A collar badge of the 229th South Saskatchewan Battalion. 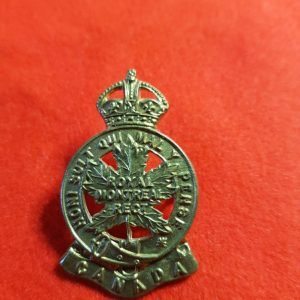 With original lugs and with maker’s mark Geo H. Lees Co. 1916 and also with – Crighton, Moose Jaw embossed on rear. 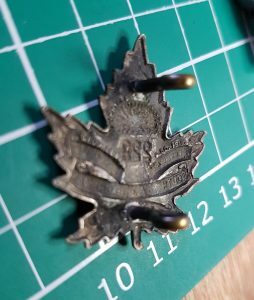 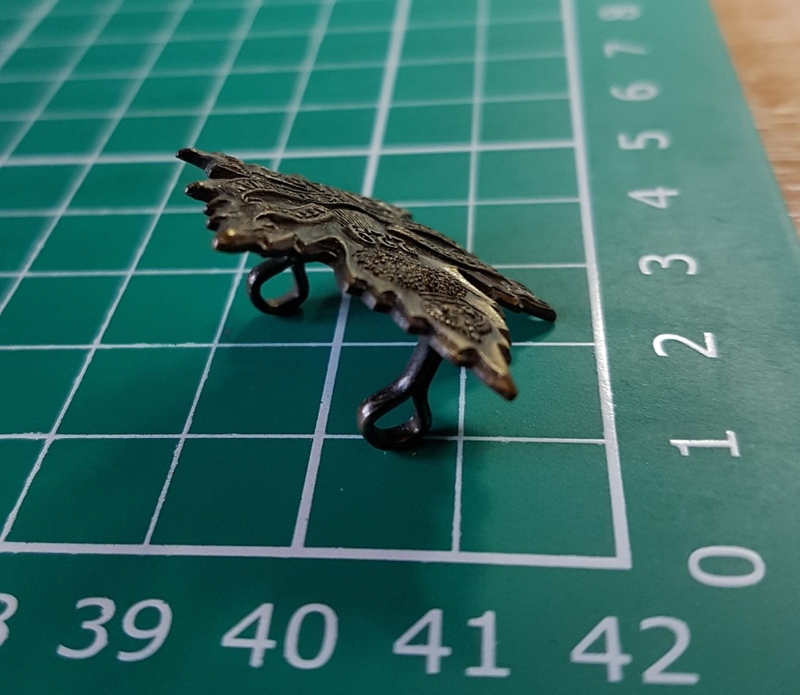 Canadian Army Collar Badge with 2 lugs to the rear.